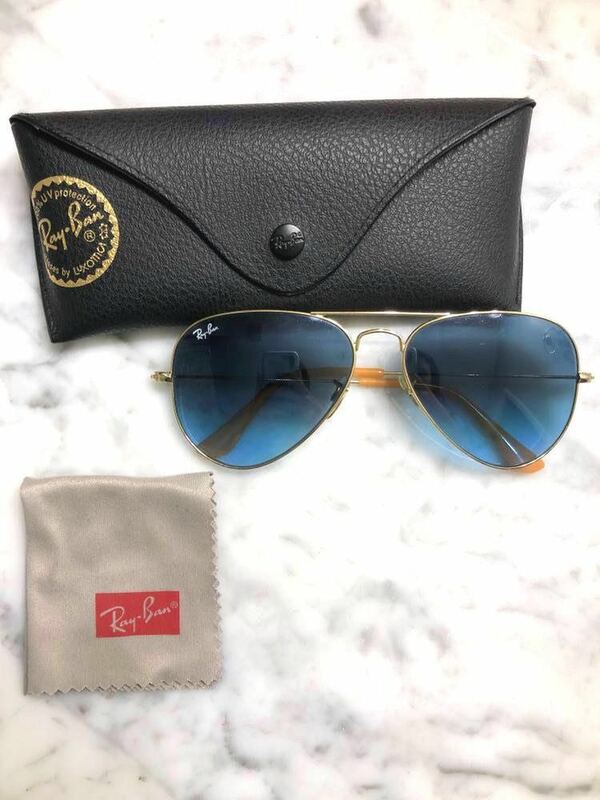 Blue, brown & crystal Ray Ban Aviators. Nicely toned and give a cool effect to the face. Only worn a few times, didn’t love the style for myself!